A brave little dragon in a big, scary world! 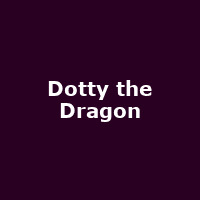 Dotty is a baby fire dragon. She lives at the top of a mountain with her grumpy dad, Mr Dragon. In the village below, everyone fears for their lives, for dragons eat children! Or so they believe. But Dotty would never eat children! Not ever... She's a vegetarian. Instead, she loves to gaze down and watch the children playing in the orchard, - and one day, she decides to pay them a surprise visit. After all, everyone loves surprises, - don't they?